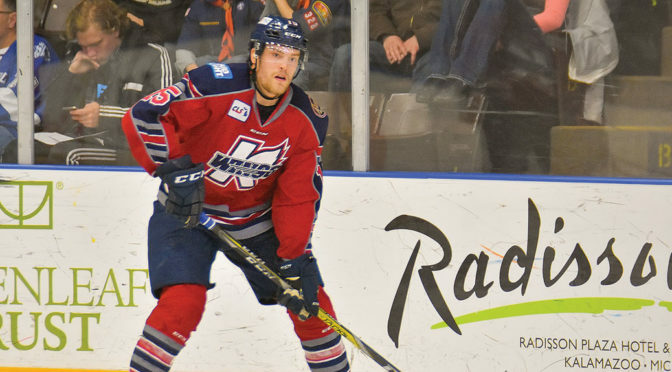 Last night, Traverse City native Eric Kattelus scored his third goal of the season for his Kalamazoo Wings. The Michigan Tech alum summoned his King of Pop dance moves, breaking out into full moonwalk dance move on his way towards center ice. Eric Kattelus puts @KalamazooWings up 2-1 on @kc_mavericks and…. Kattelus, 30, is in the midst of his seventh season with the K-Wings. The celly is already making the rounds online, landing on the radar of TSN’s BarDown, among others.